GAINESVILLE, Fla. – The son of two UF graduates, Spencer Thompson was expected to become a Gator since he was just a baby wrapped in an orange and blue blanket. Flip through old photo albums and almost every photo showcases a young Thompson and his parents proudly sporting Gator apparel. Years later, Thompson, an Orlando native, read the first few lines of a letter from the UF Office of Admissions. “We are unable to offer you admission to our campus program as a first-year student,” the letter stated. Thinking it was a rejection letter, Thompson immediately stopped reading. But, Thompson’s father reviewed the rest of the letter and realized that Thompson had actually been offered admission into UF’s first-ever group of PaCE students. Although skeptical at first, Thompson ultimately decided to commit to PaCE with encouragement from his father, who reassured him that he’d still be able to move to Gainesville and have the same college experience that a traditional student would. 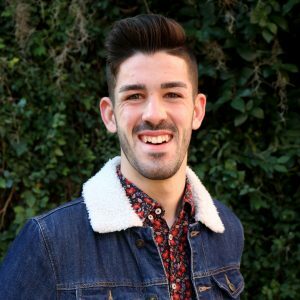 Now Thompson, a journalism senior, will graduate after just three years because of credits he brought in from high school and community college courses. Looking back on his experience, he attributes his motivation and drive to being in the PaCE program. Without a set class structure, Thompson learned to manage his time wisely and to exercise self-discipline, habits which he said benefited him throughout college. Thompson also learned to put himself out there. He made a point to do his work in Library West to get out of his apartment and experience on-campus life. When he wasn’t doing classwork, Thompson also covered sports for The Independent Florida Alligator and played bass guitar on the worship team at Anthem Community Church. These extracurricular activities gave him the opportunity to meet other students, some of whom are his best friends today. Interested in business law and commercial litigation, Thompson will attend law school in the fall. He is currently deciding between law schools at the University of Florida, Temple University and Emory University. 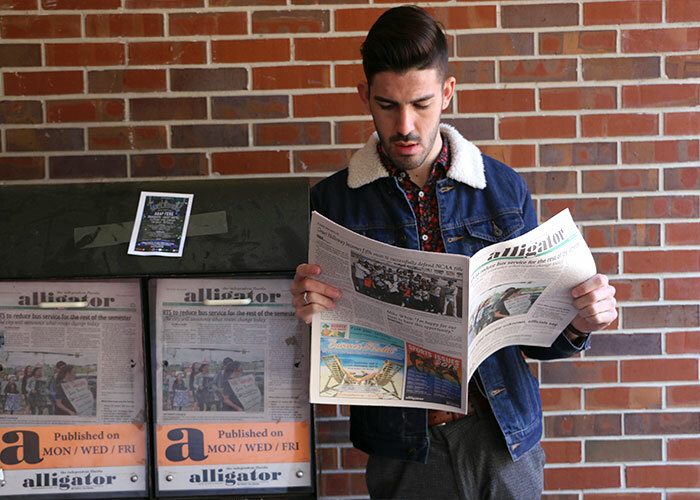 As a sports writer for The Independent Florida Alligator, journalism major Spencer Thompson stayed up-to-date on all university athletic news.